Source & Format: Read2Review provided by author–eBook | Thank you K F Germaine! 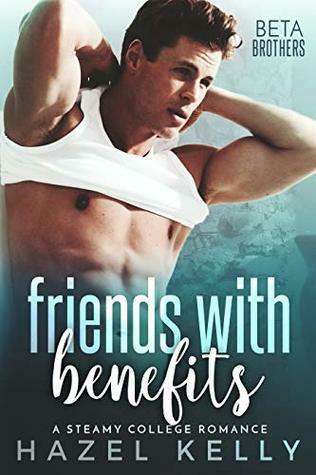 I first saw this book on NetGalley and was about to request it but when I went back it was gone 🙁 Lucky for me, the New Adult reading group on Goodreads that I am a part of had made arrangements with K F Germaine to offer this book for anyone who wanted to review it. I pounced on the chance! The key word for me in the synopsis was “vengeance”. I’m a sucker for books where people fall in love with their “mortal enemy” and the use of that word “vengeance” filled me with promise. Promise of lots of sexual tension, a mysterious past encounter and lots of drama. Needless to say, I was stoked to read this one! This book had more going on than just a romance. All the back and forth hi-jinks kept me entertained even if I didn’t totally like what was done (which I will comment on later). And even moving away from the conflict between the two leads, the subplots were also really interesting! They linked up perfectly with the main story and never took away from the real focus of the book which is essentially the romance and the subsequent character growth. I felt like everything was really balanced when it came to the delivery which made it really easy–and addicting to read. I will admit, I didn’t like Gray or Sydney when I first met them. They were mean, mean people and they weren’t afraid to show it. But all of that changed the more I read about them. As you learn more about their individual pasts, their characters start to make more sense to you. You see why Sydney has the attitude she does and why she acts a certain way when it comes to her brother. With Gray, it wasn’t until I learned about their past together that made me understand his character. And once that got revealed, I easily found myself rooting for these characters. I love a book that can make me change my impression of a character (or two) simply by reading more. I think it shows the strength of the character development in this book. I thought a lot of the things these two do to each other–in terms of vengeance–were a little extreme. It made them seem cruel, thus enticing my dislike of them. It took me a while to get past that but as I said before, that changed the more I read. Some were just over the top dramatic which made things very entertaining to read. They were exactly the type of things I expected, it’s just that these crueller ones did some minor damage to my reading entertainment. This is definitely more of a personal quip than anything because I truly did enjoy the romance! It wasn’t apparent to me at the start why these two would like each other because they seemed like polar opposites. However, once again, the more I read the more I saw why these two would work together. I thought this was going to be a standalone but I read on Germaine’s blog that there will be a sequel with a different set of leads. I am super excited to see who these new leads will be and can’t wait to read the next one! I really, really enjoyed this one! Devious Minds was a great New Adult book that had me chuckling and swooning as I read. It started a little rocky with this characters but I quickly got absorbed into their world. Very, very entertaining and I can’t wait to see what’s going to happen next!